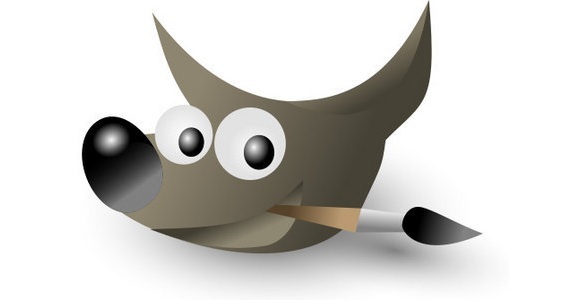 The GNU Image Manipulation Program (rather affectionately named GIMP) was first released back in 1996 by two American University students.The program was designed to be an easy to use, powerful open source image editor and since this date it has matured to achieve a large user base over several platforms including the Apple Mac, Windows and Linux. For some time I’ve been looking for a free image editing program to recommend because I’ve found that any program worth its salt costs money and I realise this is something my readers don’t appreciate!It looks like finally I may have found the answer in the form of GIMP and so today I have decided to take the time to review the latest incarnation of this program.Although GIMP is best known to Linux users I have tested the Windows version of this product as this is the Operating System that most my readers use. The latest version, GIMP 2.2 includes many of the features you get in costly applications like Adobe Photoshop and these include layers, channels, paths along with a wide variety of painting tools.It includes many features that to my knowledge are not available in any other free product.Whether you want to use it to retouch photos, render images or convert from one format to another then this should fit the bill perfectly.Additionally it is expandable as new plug-ins can be added to the application should you require a function which is not provided as standard in the software. The software includes dozens of filters which make it ideal for anyone involved in digital photography and there are additional features such as a scripting interface to allow advanced users to automate image editing tasks but I’m sincerely doubting that most home users will choose to jump in this far. Downloading and installing the program is relatively painless as long as you’re pointed in the right direction as I was first thrown off by the fact you need to download two files in order to be able to properly install the application.If you head to http://gimp-win.sourceforge.net/stable.html then you will find two files that are required for the installation.First you should download the ‘GTK + 2 Runtime environment’ and install it before downloading the actual application also located on the same page.The two files together come to around 12mb which will be a pretty painless download on all but the slowest of connections. It is worthwhile noting that this program is supported entirely by people kind enough to dedicate their time to the coding the project so there is no adverting either in the application or on the authors website. An alternative website you may also like to visit is www.gimp.org as there are a number of manuals and tutorials available online.The program is pretty advanced and it is unlikely that you would be able to scratch the surface of what is on offer without them. The interface is at times quite confusing and the entire program isn’t as well polished as alternatives on the market however I think it would be quite unfair to try and compare this free program to the £400 Adobe Photoshop!Basically to summerise if you’re looking for a free alternative to the rather lacklustre Microsoft Photo Editor which is bundled with Windows then you’ve found it.